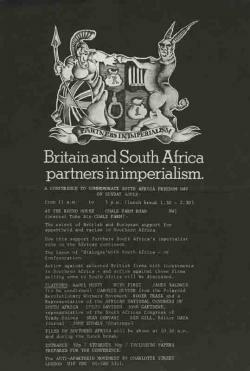 Poster publicising an Anti-Apartheid Movement conference held on July 4, 1971. 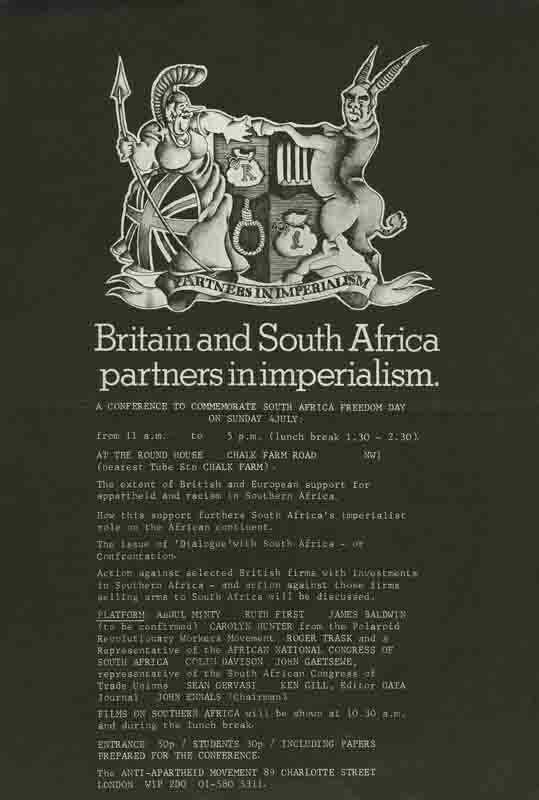 The main issues discussed at the conference were the proposed settlement on Rhodesia and action against British firms with investments in South Africa. One of the speakers was Caroline Hunter from the U.S. organization the Polaroid Revolutionary Workers Movement. Polaroid supplied photographic equipment used to produce passbooks for black South Africans. After a long campaign by its largely black U.S. workforce, Polaroid pulled out of South Africa in 1977. This item was provided by the Anti-Apartheid Movement Archives Committee.